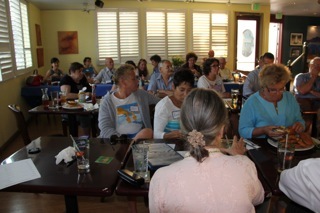 The Clairemont Dems had another great turn-out at our July 9, 2013 club meeting. 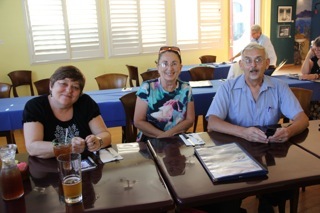 Members met at Boomerang’s around 6:00 p.m. to socialize and grab dinner. 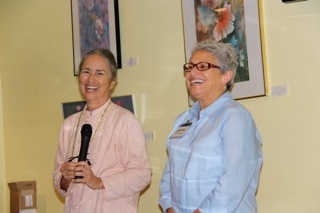 The meeting began at 7:00 p.m. SDCDP Chair, Francine Busby, made announcements about the upcoming party convention, which will be held October 4-5 at the Pala Resort & Casino. 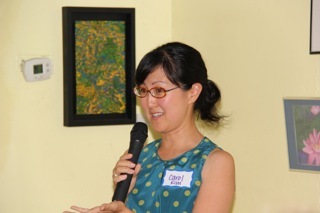 Carol Kim, Democratic candidate for San Diego City Council District 6, gave updates on her campaign. 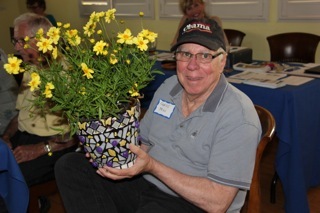 We held an opportunity drawing for a gorgeous flower planter crafted by Club Secretary, Christine Becker. The winner was club member Curtis Page. 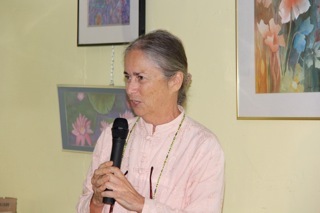 Finally, the guest speaker, Rochelle Becker, Executive Director for the Alliance for Nuclear Responsibility, gave a riveting presentation on the dangers of nuclear reactors and the hazards of highly radioactive waste and our rapidly aging nuclear plants. 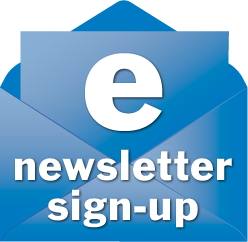 Becker urges us to advocate for legislation to prohibit license renewal and limit radioactive waste; to campaign for Energy Independence in California; and to educate the public on hazards associated with stored nuclear waste. 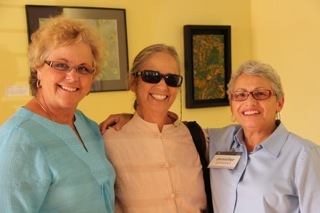 Please join us next month for our monthly meeting on Tuesday, August 13 – same time, same place. Our guest speaker will be Kevin Beiser, Vice President of the San Diego Unified School Board. He will be seeking our club’s endorsement.